Bardia is a 4th year Biochemistry and Molecular Biology major and a Computational Biology minor. 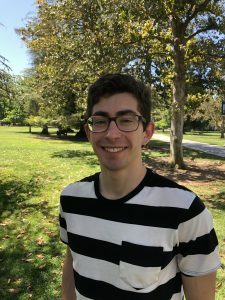 He is currently working in the Department of Pharmacology for the Sato Lab utilizing mathematical cardiac myocyte modeling. Some of his hobbies include coding, graphic design, guitar, and gymnastics. He loves learning new things, traveling, and being active! Cathy is a 5th year Biochemistry and Molecular Biology major. 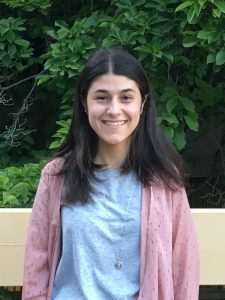 She’s always enjoyed peer-editing papers in English and UWP classes (reading a strong paper secretly motivates her to write better), so applying to be an editor was a no-brainer. In her spare time, she likes to try new places to eat, take long walks at sunset, and play party board games. 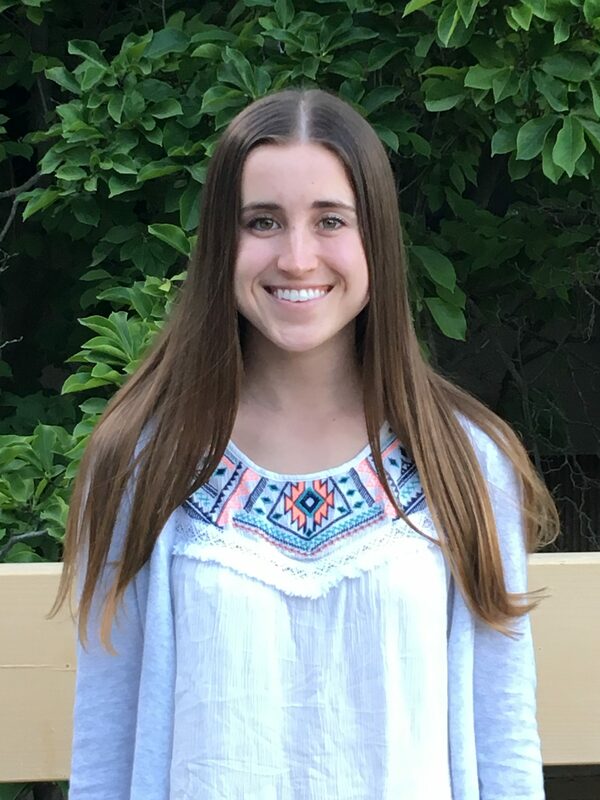 Sara is a 4th year Environmental Science and Management major from Southern California. She's passionate about laughter, food, puppies, and taking care of our precious planet. In her free time, she likes to write in her journal, lie down on the grass, and go dancing. 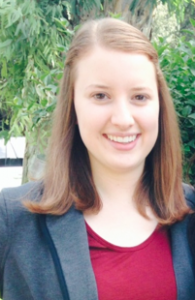 Lauren is an alumni editor and graduated as a Biochemistry and Molecular Biology major. 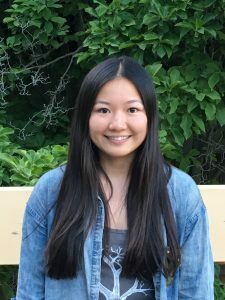 She is currently working in Jodi Nunnari’s lab on mitochondria DNA and organelle fusion. During the winters, Lauren goes to Tahoe with UC Davis Alpine Ski and Snowboard Team to race giant slalom with her teammates. Some of her hobbies include drinking lots of coffee, fishing, hiking, seeing movies, and hanging out with her Goldendoodle Junior. Bukre is a Cell Biology major and a History minor. 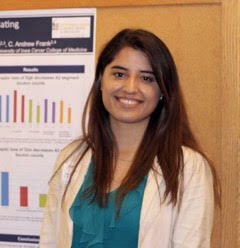 She is interested in tissue engineering, especially regenerative medicine. She enjoys reading crime fiction and fantasy novels, fencing, and watching Turkish TV dramas. 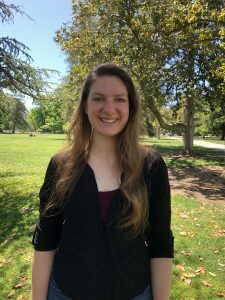 Madison graduated in '18 as a Biochemistry and Molecular Biology major who is aiming to attend the UC Davis Extension’s Master Brewers Program after graduation. She is passionate about brewing and wants to go on to obtain a PhD with a focus in yeast genetics and how unique metabolic processes can affect beer. In her free time, Madison enjoys listening to music, being outdoors, and spending time with friends. Connie recently graduated with a BS in microbiology and is currently working as a junior specialist for Dr. Dennis Hartigan-O’Connor. She volunteers at Sutter Medical Center in Sacramento and enjoys working with people. Her goal in writing is to make scientific research more understandable and relatable to the general public. Outside of academia, she enjoys drawing cartoons, traveling different places, and running a radio show on 90.3 KDVS. Connie hopes to one day attend medical school and pursue either an MD or an MD/PhD. Nicole graduated in 2016 as a Biochemistry and Molecular Biology major. She enjoys science, learning, writing, and reading. She also likes spending time with family and friends, going to concerts, eating, watching movies, and trying new things. Carly is a 2016 Microbiology graduate. 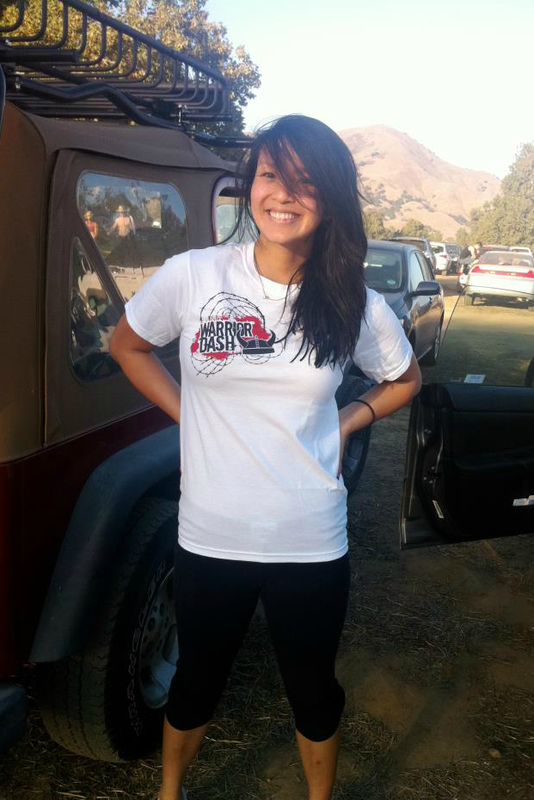 She enjoys running, writing, interacting and collaborating with others, and learning new things. She likes spending her free time sleeping, reading, relaxing outdoors with live music, and chatting with family and friends. Wren graduated in 2016 as a History major . She minored in Biological Sciences and Community Development. 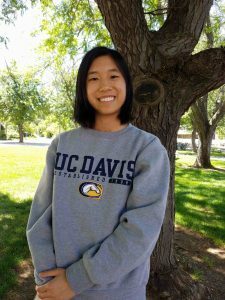 She is also currently an intern for the UC Davis Arboretum GATEways Outreach Program. She loves writing, dancing, and being outdoors, especially in the mountains. 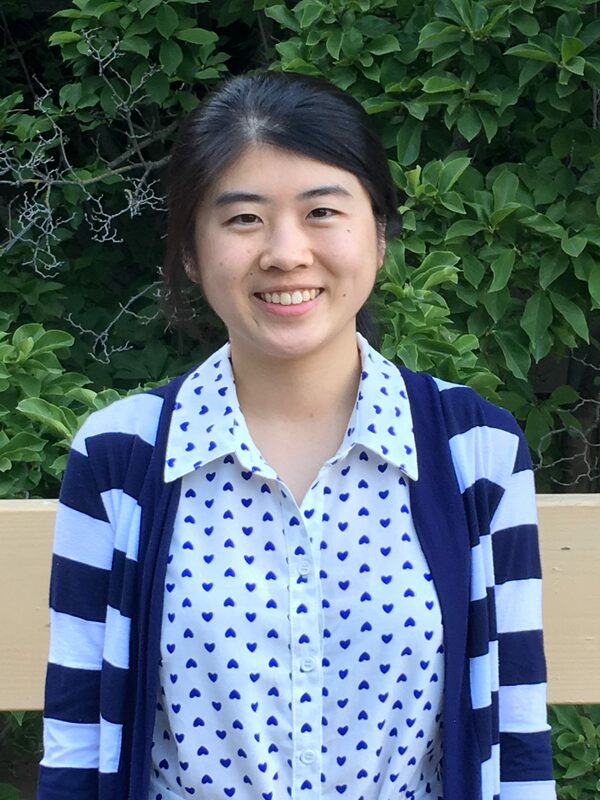 Lo Tuan graduated in 2016 as a Neurobiology, Physiology, and Behavior and Economics double major. She is passionate about writing and eager to share her thoughts with the world. She enjoys reading, spending time with family and friends, and philosophizing with her dogs. Chantele was a Biology major emphasizing in NPB and minoring in Religious Studies. She was also a Food Safety teaching intern in the UCD Science Education Outreach Program. She loves eating sushi, working out, cooking, spending time with her cats and family, and riding her horses! Shadeh graduated as a Neurobiology, Physiology, & Behavior major and Psychology minor. 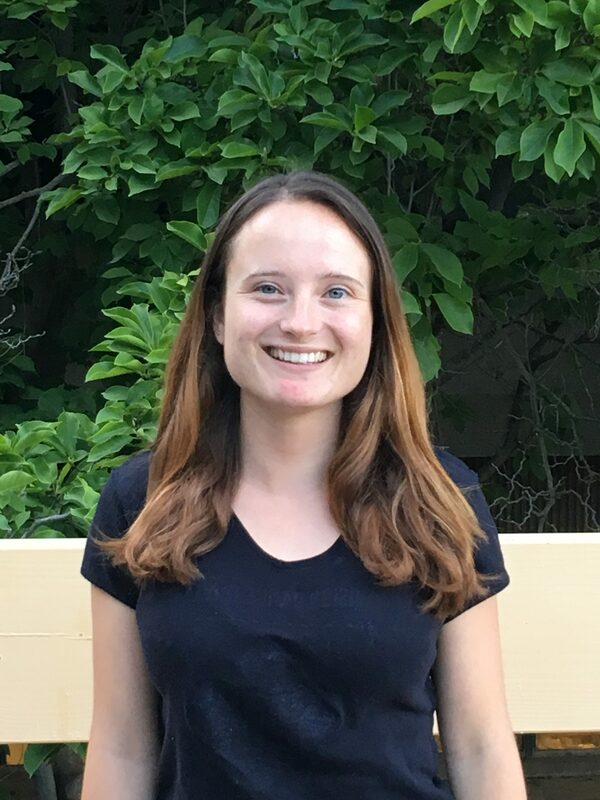 She is currently a research assistant in Dr. Barbara Horwitz’s Neurobiology, Physiology, and Behavior Lab and is treasurer of Prytanean Women’s Honor Society. In her free time she is found outdoors hiking, running, playing soccer with friends, taking pictures, or knitting scarves and hats! Hong was a Biochemistry and Molecular Biology major. 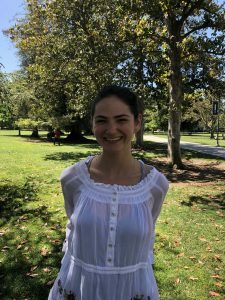 She is currently working in Dr. Artyom Kopp's Lab as an undergraduate researcher, and is volunteering at a UCD student-run clinic, VN CARES. Writing gives her clarity and she enjoys journaling. 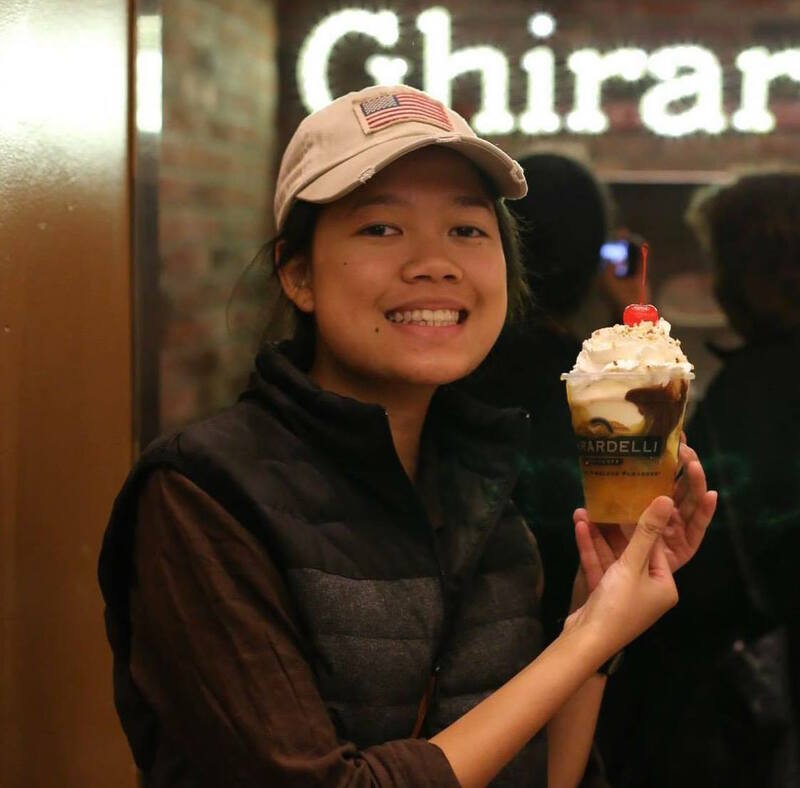 Some of her hobbies include photography, cinematography, computers, playing b-ball, hiking, RPG games, watching Korean dramas, and eating Ghirardelli ice cream! David was a Biochemistry and Molecular Biology major. He has a passion for reading, science, and learning. David is pre-med and hopes to someday attend medical school in California. He enjoys most all sports and outdoor activities, and considers himself to be a black tea connoisseur. Marisa was a molecular and cellular biology major. Her particular interest is in genetics. After graduating she plans to attend graduate school to get a master’s in genetics and hopes to eventually work in a research laboratory. Her hobbies include reading, hiking, and traveling. Marisa especially loves reading and writing about scientific topics, which is why she is so happy to be involved with the Aggie Transcript. Briga was a Biochemistry and Molecular Biology major. After graduating this spring she planned to apply to medical school. She was involved in clinical and laboratory research at the UC Davis Medical Center and also participated in outreach to underserved populations. Briga was particularly interested in cancer and how biochemistry and molecular biology research can be used to better understand and treat this disease. Outside of school, Briga enjoys riding horses, kickboxing, and traveling. 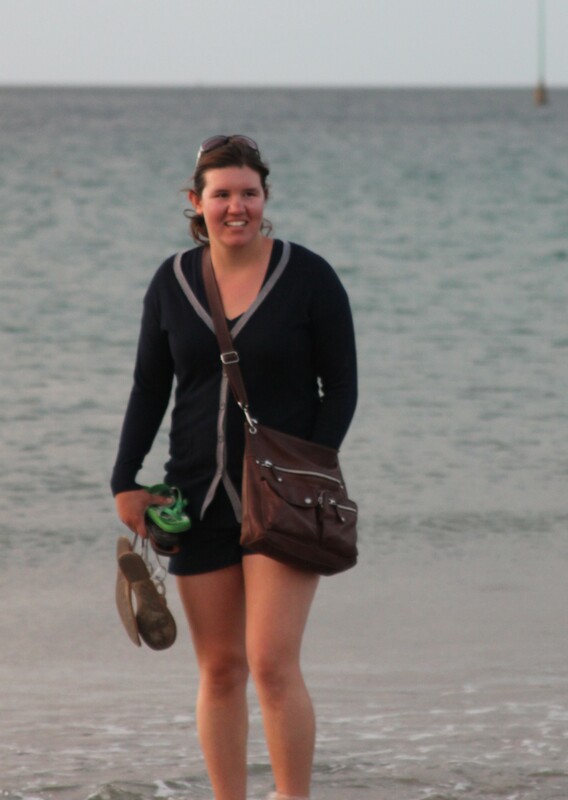 Natalie was an Evolutionary Anthropology and Evolution, Ecology, and Biodiversity double major. She is involved in many on-campus organizations including greek life, peer advising, and lab research for the plant pathology department. She’s really excited to be a part of the Aggie Transcript and can’t wait to learn more about the research that other UC Davis undergraduates are pursuing. Jenny was a Biochemistry and Molecular Biology major. Before she came back to school, she worked on sustainable farms and vineyards in Sonoma County. Now she’s hoping to go into research that improves the way we grow our food. 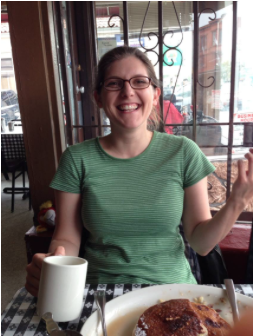 She loves getting other people excited about geeky topics and thinks writing about science is a good way to do that. She also loves making weird flavors of ice cream. 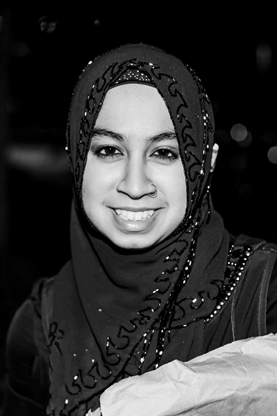 Isra was a genetics major at UC Davis. She aspires to become a physician and is in the process of applying to medical school. She is invested in community work and spends her weekends working with youth. Isra is a poet and artist. When not in school, you’ll find her performing spoken word pieces, writing poetry or lost in her sketch book. Ashley was a genetics major. She is particularly interested in genetics and neuroscience and plans to attend graduate school. 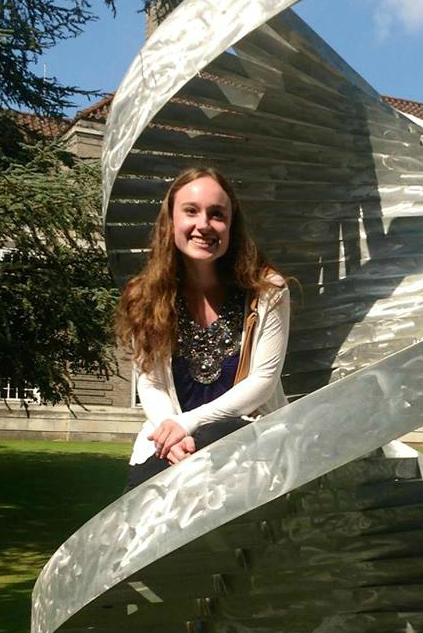 She recently spent time abroad living in London and loves the idea of connecting science across the world. Her other hobbies include reading and anything that involves getting outdoors. She likes lattes and is so excited to be a part of the Aggie Transcript! Lee was a student majoring in bioinformatics. Her hobbies include painting impressionistic flowers, watching documentaries about coffee, and training for Olympic weightlifting. 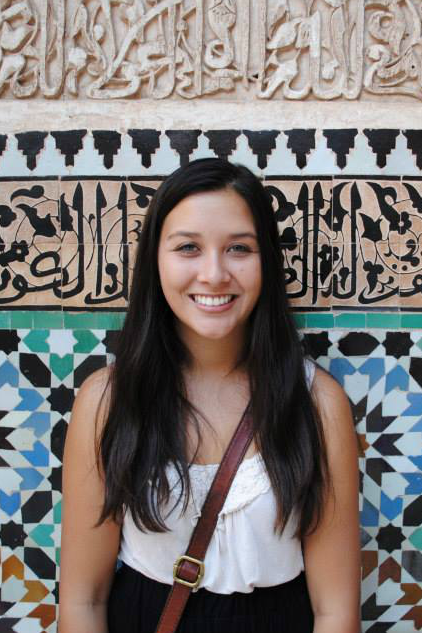 She plans to take a gap year where she will work for the student-run clinic, VN CARES. 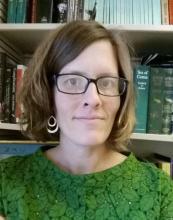 Katie Rodger is a lecturer in the University Writing Program where she regularly teaches Science Writing (UWP104E), Environmental Writing (UWP102G), and Science Journalism (UWP111C). 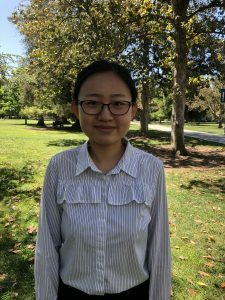 She loves to collaborate with others, especially scientists, and spends her time away from UCD hanging out with her family, gardening, and binge-watching bad tv. Varsha was a genetics major. She is interested in pursuing a career in the medical field after graduating. Her other activities include volunteering with the Willow clinic on campus. Some hobbies she enjoys include hiking, yoga, spending time with friends and family, and drinking coffee.... Lots of it. Daniel was a genetics major at UC Davis. He enjoys fractals, chess, and playing with Drosophila of all flavors. He prefers iced coffee, and his favorite polygon is the triangle.